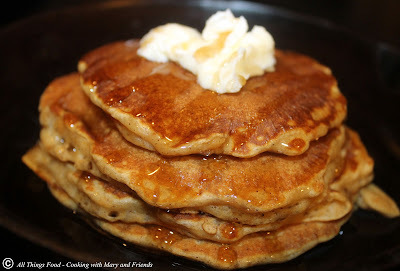 This is a wonderful spicy twist to traditional pancakes. Full of sweet potato (or pumpkin) goodness, and the wonderful taste of cinnamon and nutmeg, it is a delicious seasonal breakfast treat. Whisk together flour, baking powder, baking soda, sugar, cinnamon, nutmeg, and salt; set aside. 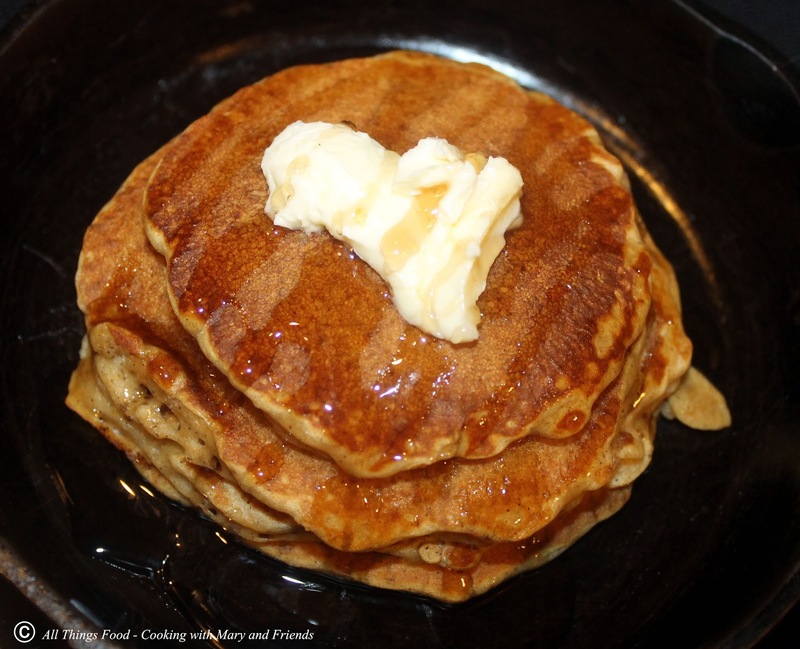 Combine buttermilk with 2 tbls, butter, eggs, mashed sweet potato (or pumpkin) and vanilla. Add buttermilk mixture to flour mixture and gently combine. Batter will be somewhat thick and lumpy, but easily poured; avoid over-mixing. Heat griddle to desired temperature and pour abut 1/3 cup for each pancake on top, leaving 1/2" between pancakes. When pancakes begin to bubble up and edges appear dry, turn over to brown other side.